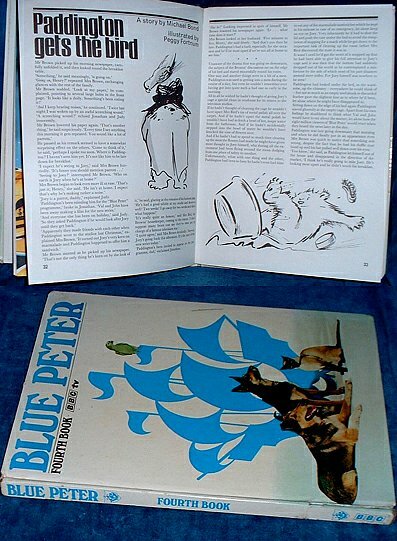 Description: London, BBC and Michael Bond 1967 Colour & b/w illustrations throughout, Paddington story illustrated by Peggy Fortnum. . Large octavo laminated pictorial boards (spine split at foot, tips bumped) colour photo of BBC Blue Peter studio taken from behind cameras on end papers, 77pp. PADDINGTON GETS THE BIRD, A story by Michael Bond illustrated by Peggy Fortnum at pages 32-37. Clean and unmarked throughout, but competition form on last page cut out.